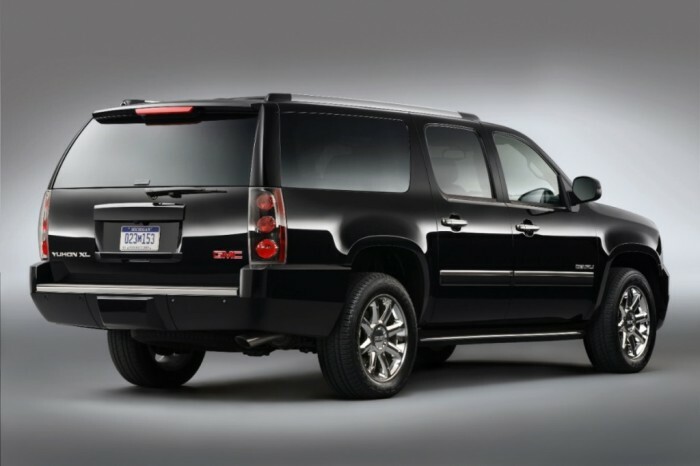 For the 2014 model year, the Yukon XL drops the heavy-duty 2500 from the lineup, leaving only the popular 1500 series. In addition, the SLE trim sees several new standard features, including a remote engine, rear parking sensors, a rearview camera, power-adjustable pedals, and an auto-dimming rearview camera. 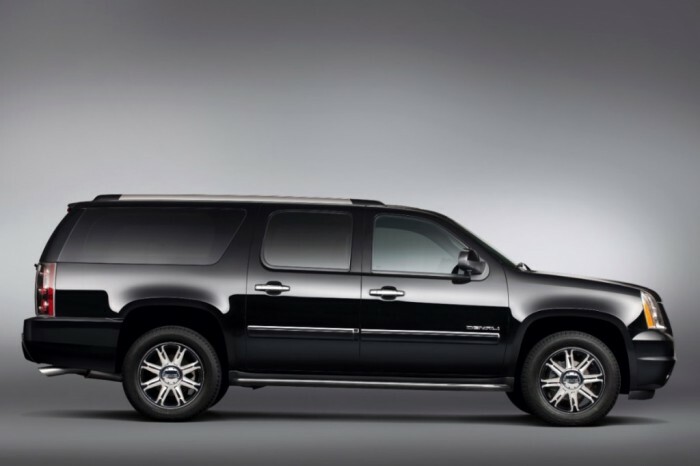 The 2014 GMC Yukon XL’s bold, yet refined exterior commands attention. Distinct lines, a commanding grille, and aggressive front and rear fascia’s prove that a practical SUV built for the toughest towing and hauling jobs can still boast major style. The capable SUV comes standard with 17-inch alloy wheels, recovery hooks, running boards, remote vehicle start, an auto-dimming rearview mirror, a rearview camera, full power accessories, and keyless entry. The Yukon XL doesn’t just look strong, it is strong. The SLE and SLT trims come standard with a 5.3-liter V8 that puts out 320 hp and 335 lb-ft of torque. If that’s not enough, the Yukon XL Denali features a 6.2-liter V8 engine that creates a massive 403 hp and 417 lb-ft of torque. Both engines are paired to a six-speed automatic transmission, and depending on the trim, buyers have a choice of a 2WD or 4WD system. When equipped with the 5.3-liter V8, the GMC Yukon XL gets estimated EPA fuel economy ratings of 17 mpg combined, 15 city mpg, and 21 mpg highway. The Denali gets 16 mpg combined with 2WD and 14 mpg combined with AWD – certainly not terrible ratings considering the Yukon XL’s sheer size and capacity. The Yukon XL’s interior is as impressive as its commanding exterior. Built with high-quality materials, a practical design, and an easy-to-use control gauge, you’ll be hard-pressed to find another SUV that so seamlessly combines utility and premium comfort. The Yukon XL’s major selling point is its ability to comfortably seat up to nine passengers and its cavernous cargo space. The Yukon XL boasts 49 cubic square feet behind the third row, or a massive 137.4 cubic feet with both sets of rear seats stored. The GMC Yukon XL comes standard with stability control, antilock disc brakes, side curtain airbags, front side airbags, rear parking sensors, a rearview camera, and OnStar. A blind-spot warning system is standard on the Denali and is optional on the SLT.